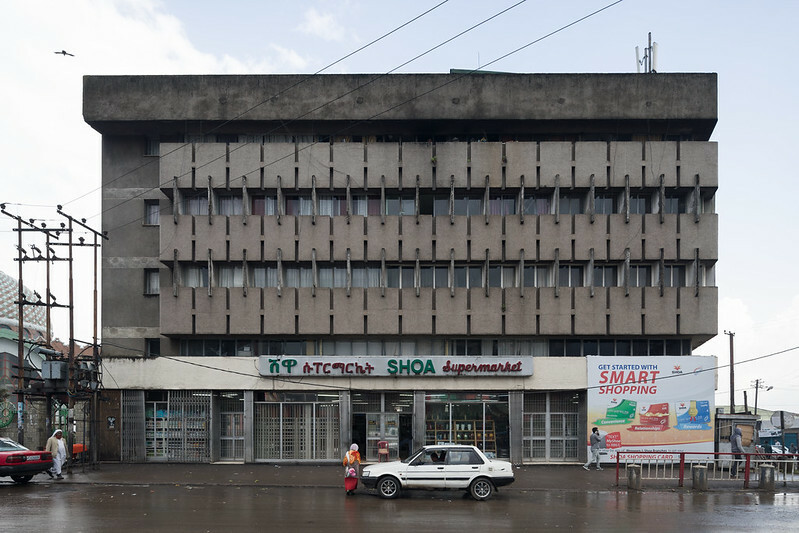 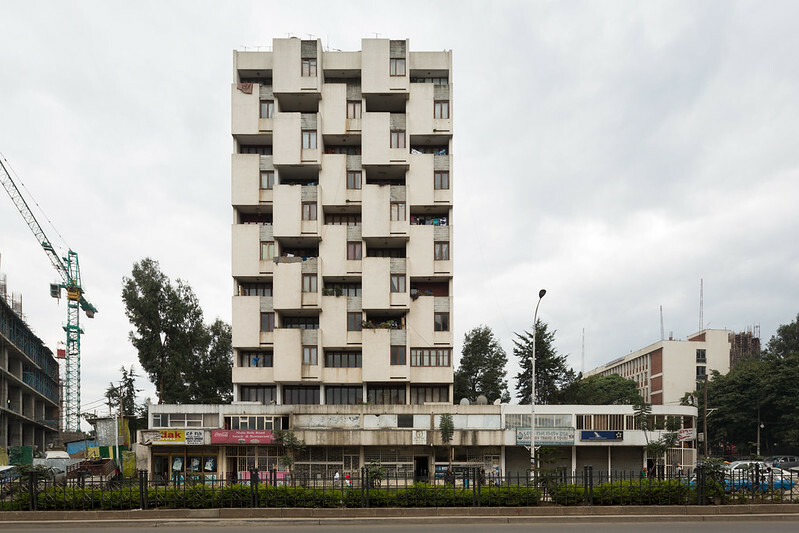 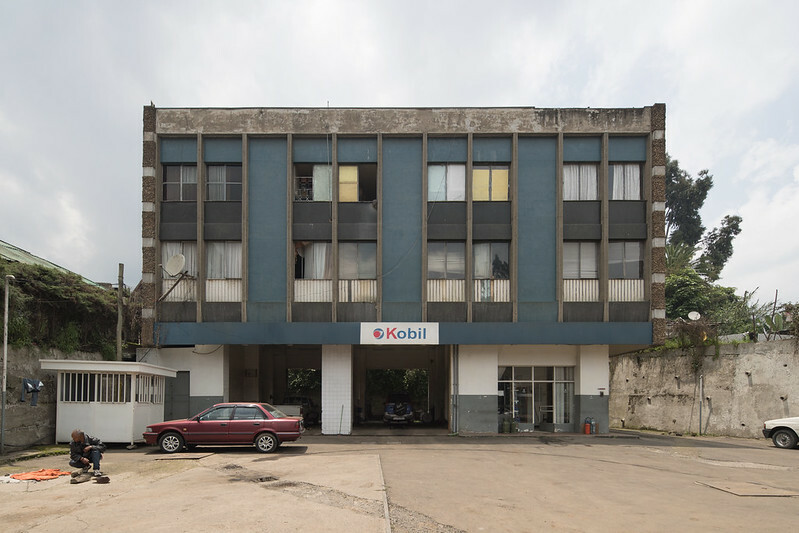 One of the things I was most excited about for my visit to Ethiopia with Brian Ashby and Susannah Ribstein was the opportunity to see its modernist buildings. 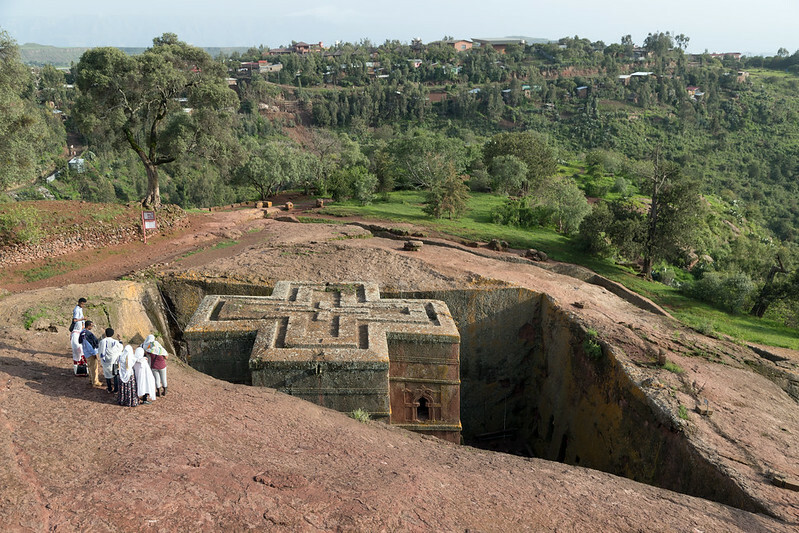 The thing was, I didn’t really know what we would see. 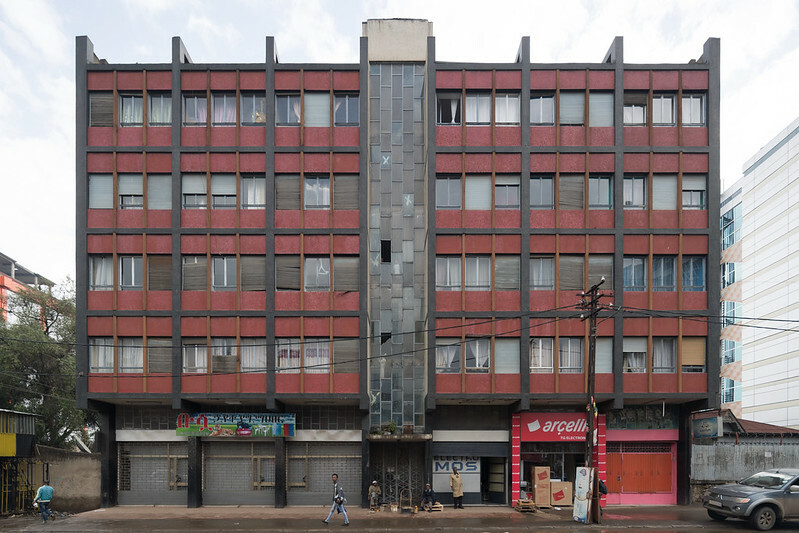 African modernist architecture is chronicled in books like African Modernism: The Architecture of Independence or celebrated in international designations like UNESCO “World Heritage” status for the Eritrean city of Asmara; however, those projects don’t represent Ethiopia. 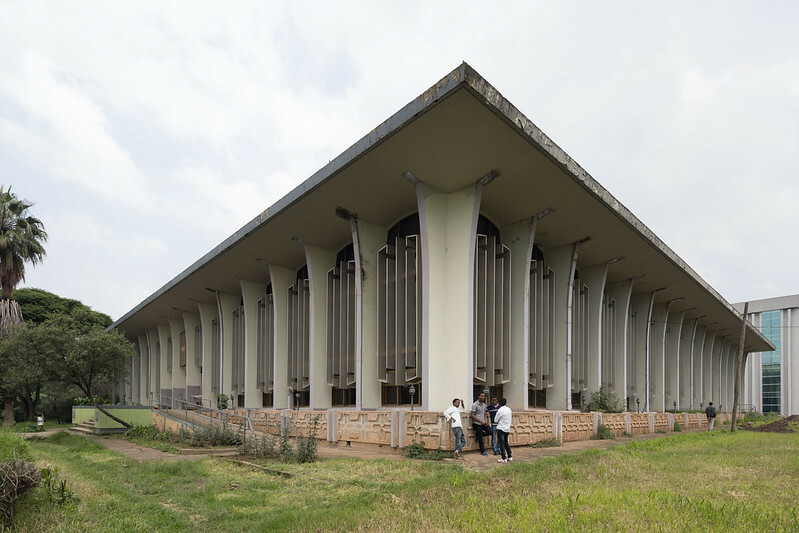 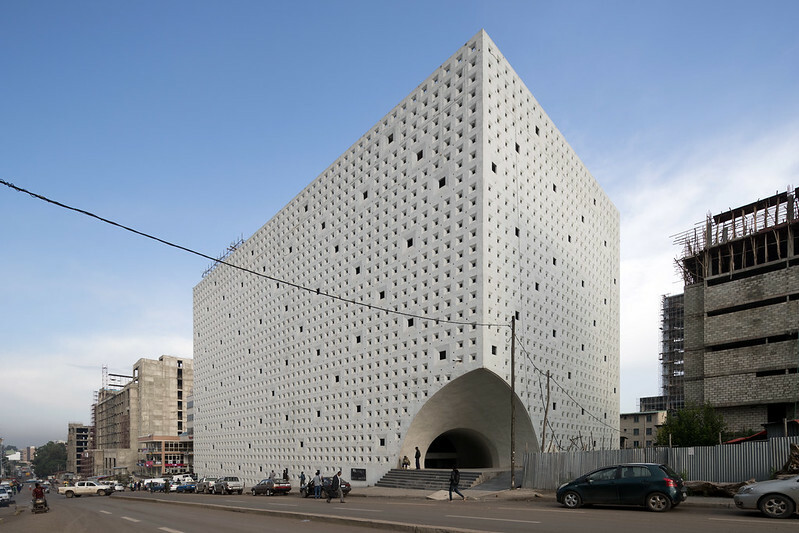 When Ethiopian architecture is referenced, it is typically about its spectacular monolithic churches or the most monumental buildings of the modernist period, like Arturo Mezzedimi’s Africa Hall and Addis Ababa City Hall. 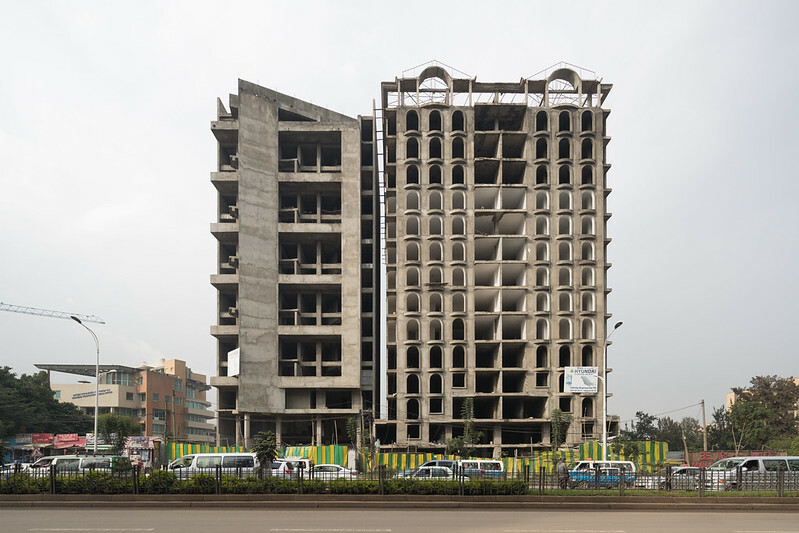 But modernist concrete is everywhere in Ethiopia. 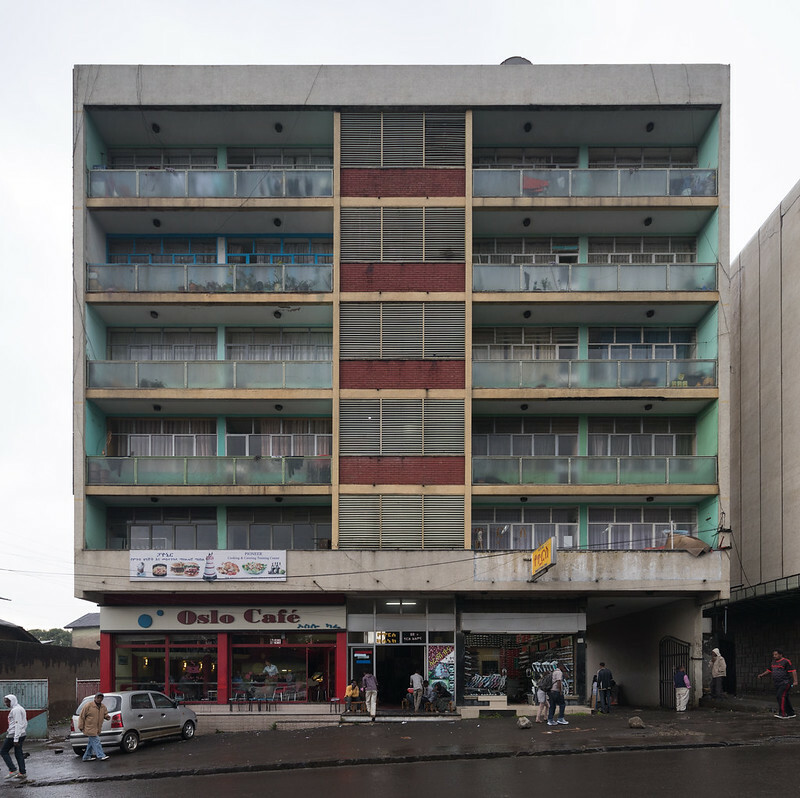 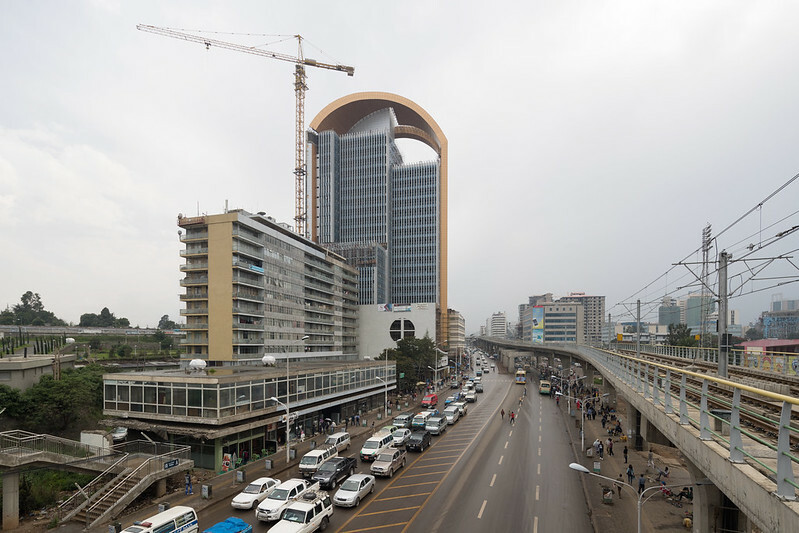 During the late 1950s and early 1960s, when many other African states were asserting independence from their colonists, Ethiopian Emperor Haile Selassie was conceptualizing how to assert Ethiopian modernity through architecture and urban planning. 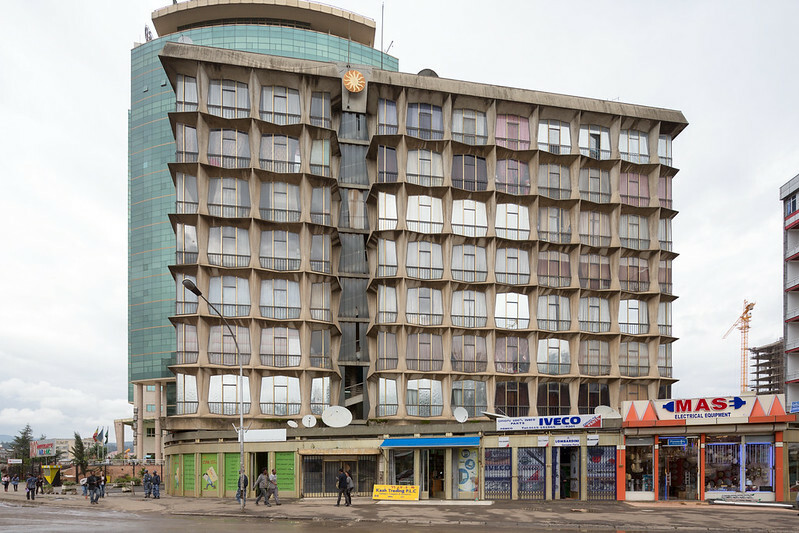 With a vision shared by many other African elites, he worked with European, American, and African architects to augment the dominant International Style with local characteristics. 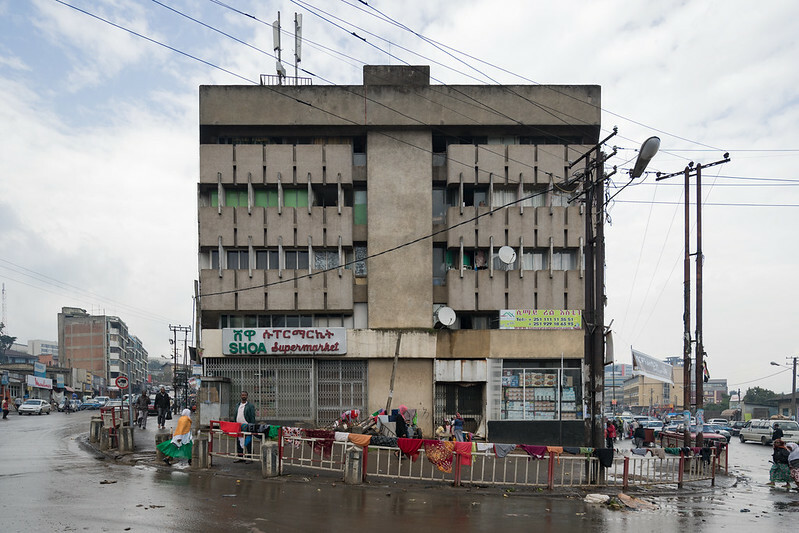 The marquee buildings are interesting, but I was more intrigued by the smaller buildings scattered throughout Addis Ababa. 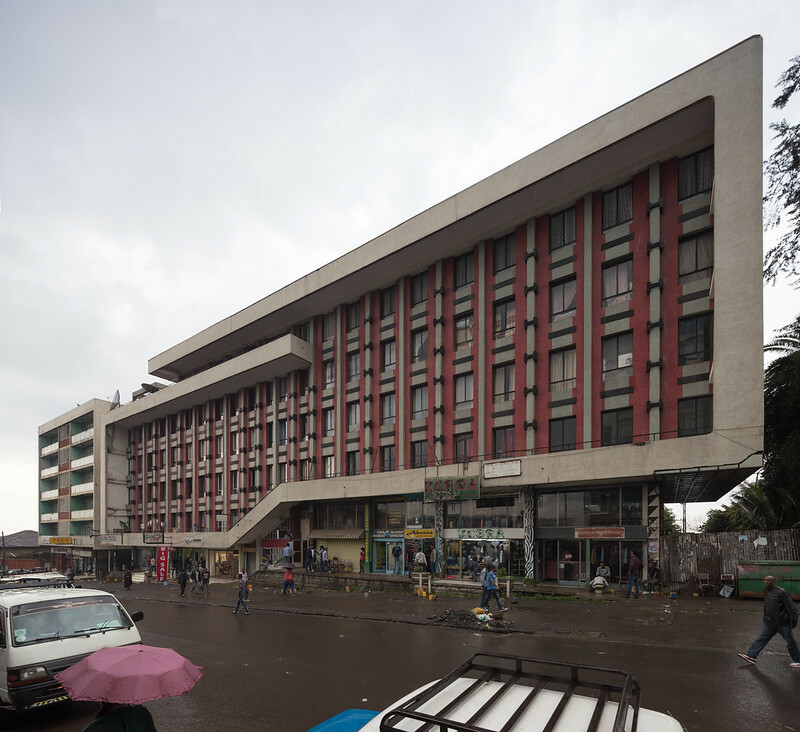 The following photographs are a sample of the modernist and brutalist buildings we saw strolling through the city during the rainy season. 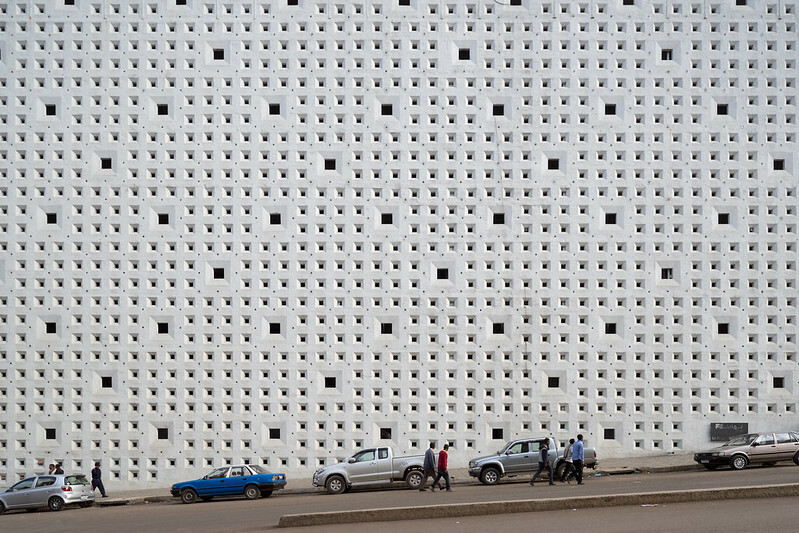 A note about and a few photos of contemporary architecture follow the set. 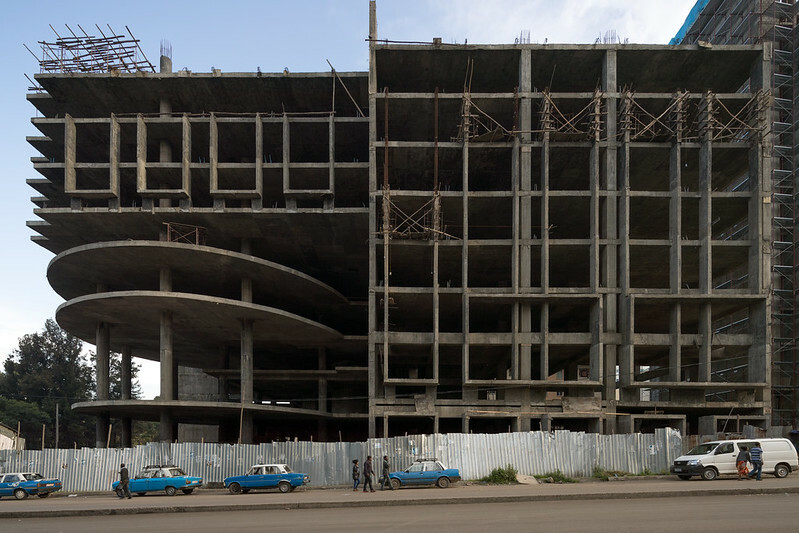 Today, Addis Ababa is a construction site. 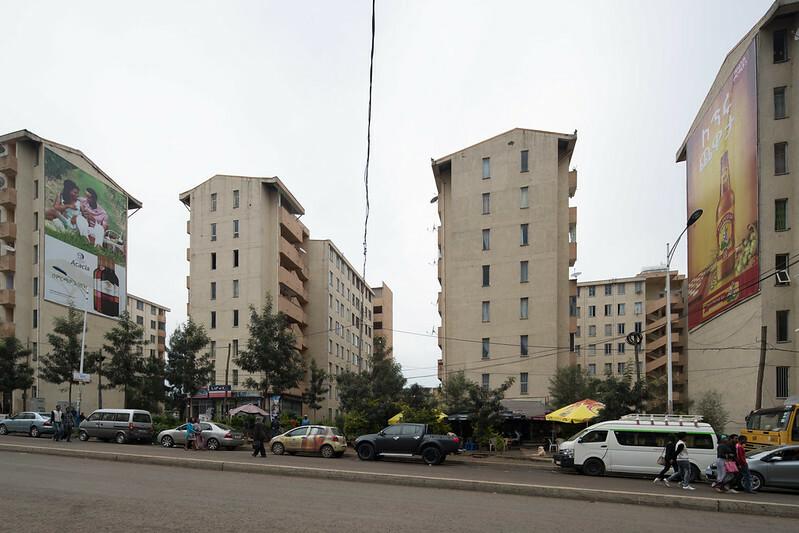 The Ethiopian government is displacing thousands of residents and clearing large portions of the city in order to “modernize” the “slums.” New buildings for new people and businesses are replacing those areas, and shoddy low-rise “condominiums” are being built on the edges of the city to house the displaced and others. 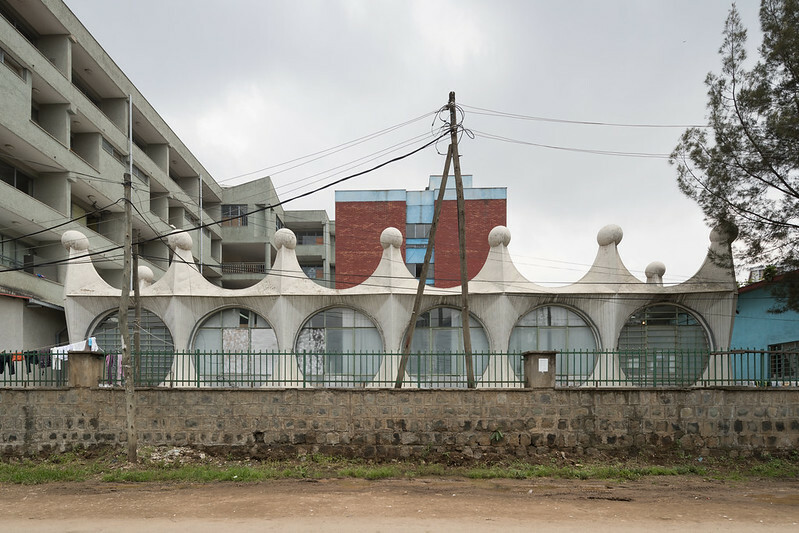 In the context of this calamity, the occasional building is rising to serve social functions with spectacular design, like Vilalta Arquitectura’s Lideta Market. 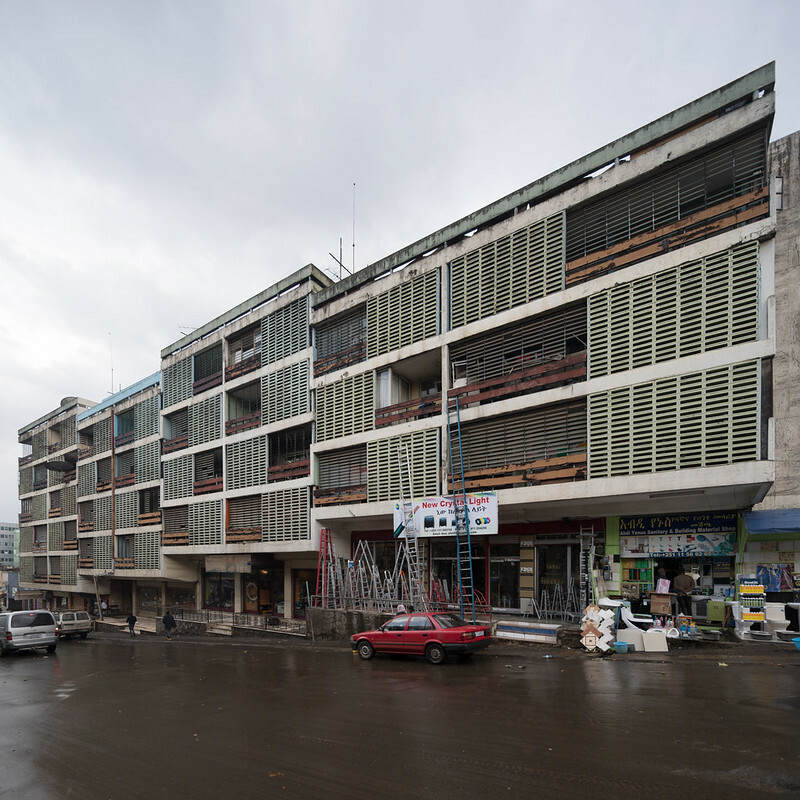 I wish we’d had more time to see other examples and better understand the entire situation. 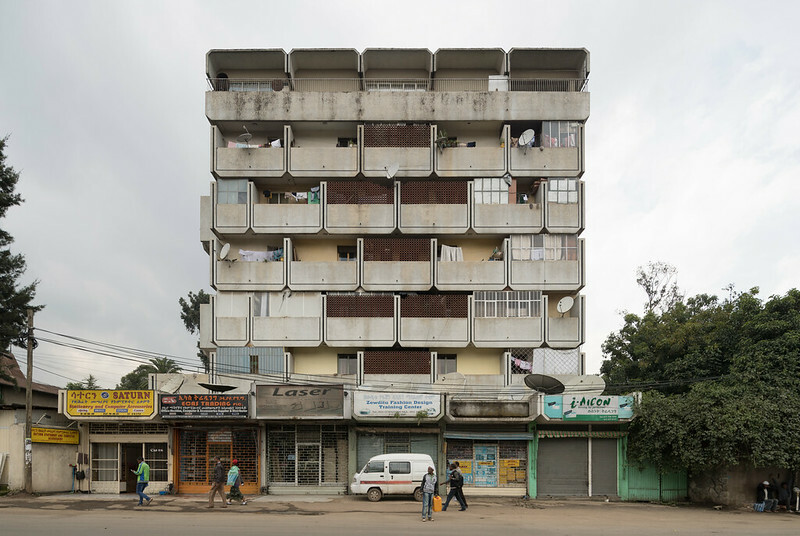 Special thanks to Zacharias Abubeker and Marjan Kloosterboer.